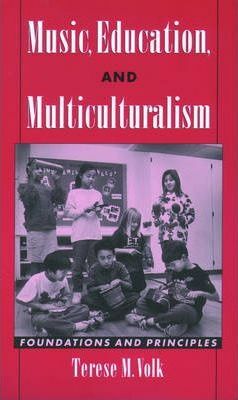 In today's multi-ethnic classroom, multiculturalism plays an increasingly vital role. What it is, how it developed, and what it means for education, especially music education, are the questions that form the essence of this book. Music, Education, and Multiculturalism traces the growth and development of multicultural music education in the United States from its start in the early 1900s to the present, and describes the state of multicultural music education internationally. Beginning with a discussion of the philosophical foundations surrounding multiculturalism, Part I addresses the various definitions of multiculturalism and its associated problems and possibilities in both education at large and music education in particular. It offers a succinct discussion of the various philosophical concepts and rationales for a multicultural approach, and concludes with current thoughts and applications in music education. Part II follows multicultural music education in the U.S. as it paralleled changes in general education brought about by social and historical events. The last chapter in this section outlines multiculturalism in music education around the world. Part III focuses on the implications of multiculturalism for music education, both in teacher training and in classroom instruction. Designed to assist music educators at all levels in understanding and implementing multicultural education, Music, Education, and Multiculturalism provides suggestions for curricular development, offers teaching strategies, and provides practical applications including materials and methodologies. Combining personal narrative and oral history with the support of primary and archival documents, this text is essential reading for all students and teachers of the history and foundations of music education and of multiculturalism in general education.